It may be 80 degrees in Southern California, but that won't stop us from lighting those pumpkin-scented candles and hitting the pumpkin patch in our new fall coats. The change in season means sweater weather and also the beginning of new home projects for many of you. 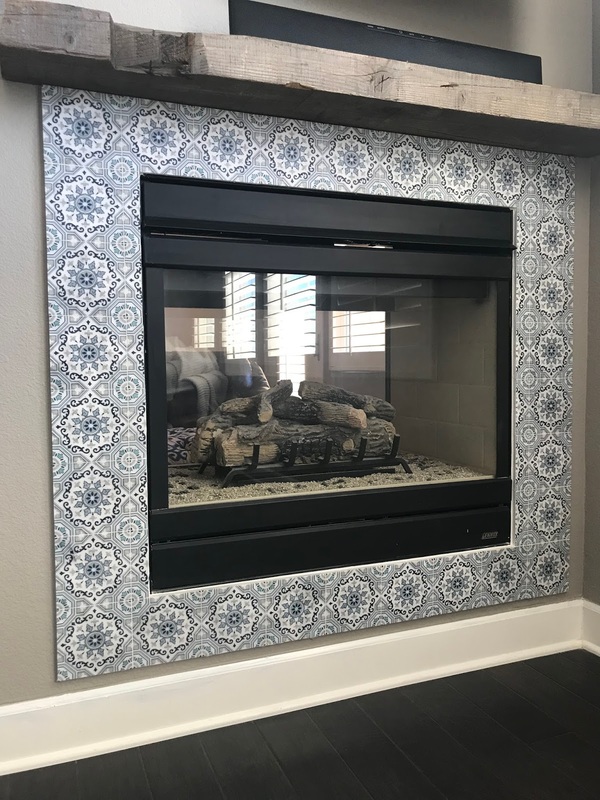 If you're not looking to completely gut your home this Fall but want to give a room in your house that personal touch, we suggest remodeling your fireplace. 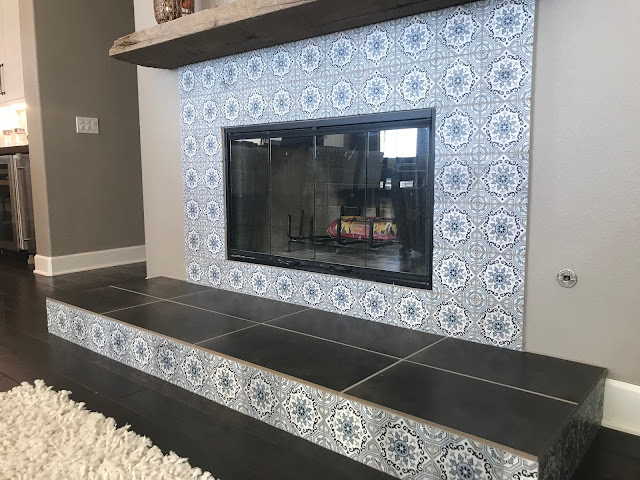 We've said it many times before, but adding a decorative tile around your fireplace is a very quick and cost-effective way to add some spice to your space. 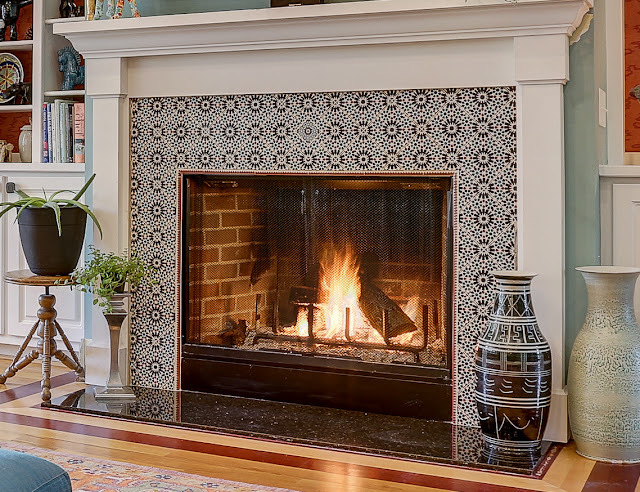 We rounded up some of our favorite fireplace projects that have us getting out those furry throws! Whenever we see this Michigan den project, we immediately want to curl up on one of those gorgeous leather couches and feel the warm fire on our face. 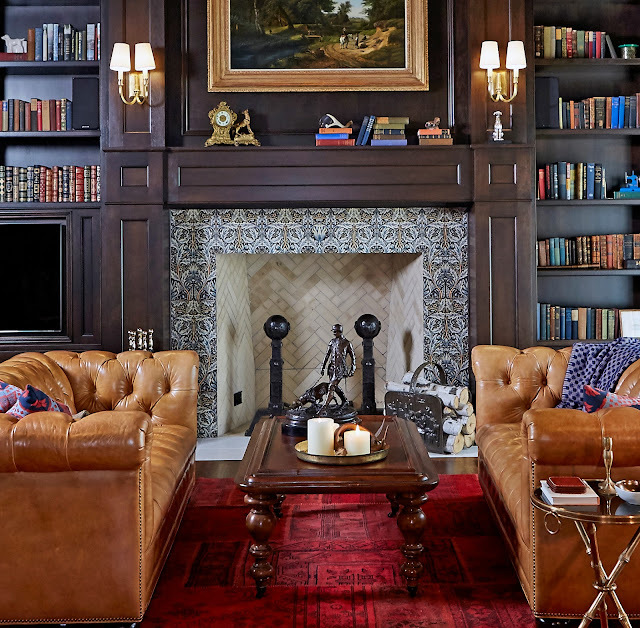 This is the perfect example of how to go bold with little material. 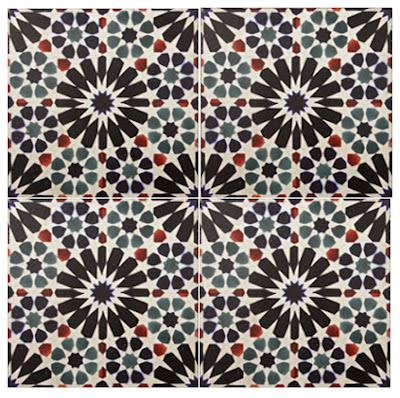 We were lucky enough to tour the home of Beth Robb (@dietguruswife) and we were not disappointed by her tile choices. 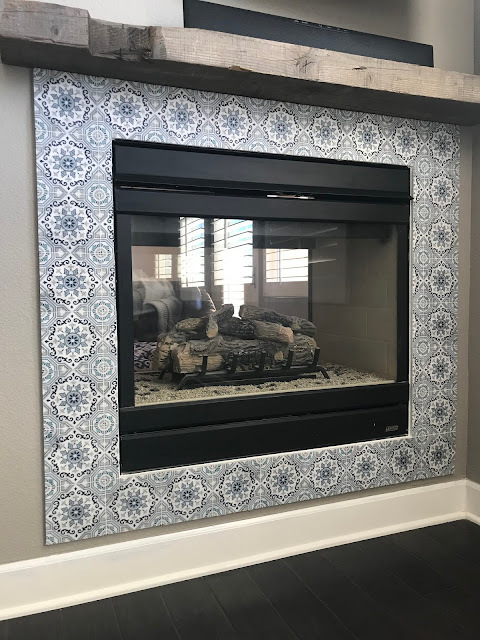 Her home featured many fireplaces and backsplashes that showcased two of our favorite patterns from our in-stock collection, Artisan Stone Tile. Austin, TX local, Michelle Oyler Root (@rooteedinaustin) designed this stunning fireplace for her home renovation. 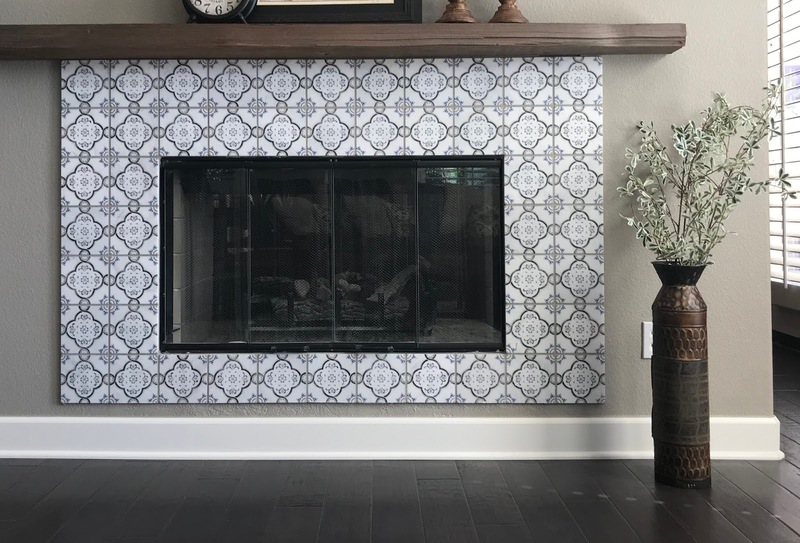 She chose the Lena pattern from our in-stock collection which created this timeless look and proves that a little bit of tile can go a long way. The designers over at Big Sky Designs in Wilmington, NC got really creative with our Saybook Deco Dots' collection. 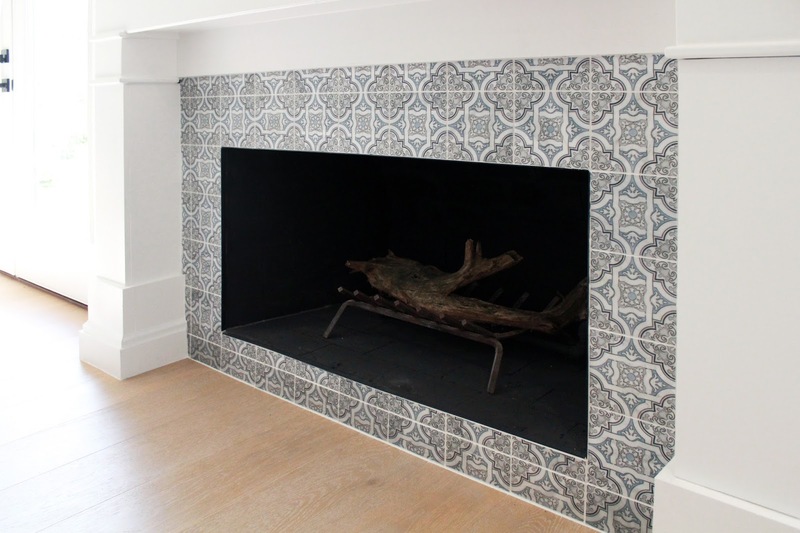 They chose to use only one of the individual accent tiles to create this Moroccan inspired fireplace. Hopefully you have some inspiration and motivation to start your next home project! Start off by sprucing up the coziest part of the house and get your home ready for the Winter!